With a net worth of $3.2 billion, Issad Rebrab resides in the same country in which he was born: Algeria. The Algerian businessman founded Cevital, which is Algeria’s largest privately-owned company. Isabel dos Santos is Africa’s richest woman. She is worth $2.1 billion. Born in Azerbaijan during the Soviet Union era, her father was the Angolan president Jose Santos. Isabel is highly-educated, receiving a degree in electrical engineering at King’s College in England. She’s one of the world’s foremost businesspeople to date, and her wealth can attest to that. 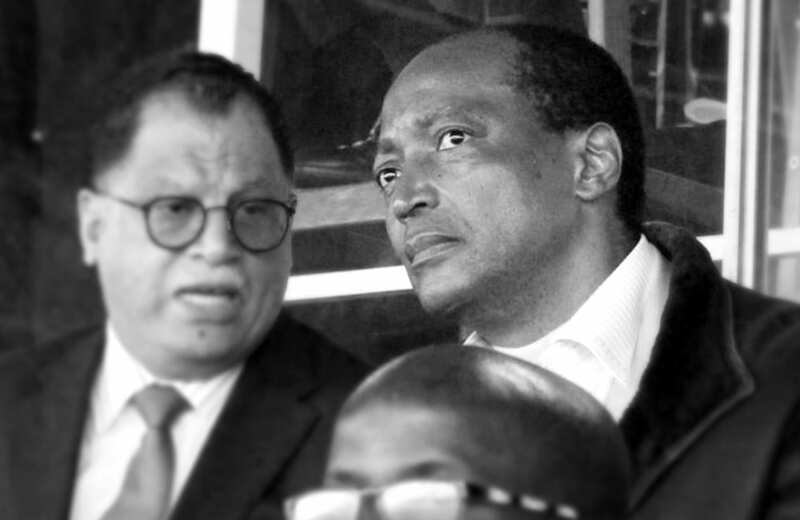 Patrice Motsepe founded and chairs African Rainbow Minerals. African Rainbow Minerals has stakes in gold, platinum, ferrous metals, and base metals. Early in her career, she worked as a secretary. Then, she transferred into the banking and fashion industry, traveling all around the world. Before that, she received her education in the United Kingdom. Rupert dropped out of college, where he was studying economics, in favor of business. He then entered the banking industry and his career took off. The young Nigerian also started Raven Resources Group, and he sits on the Nigeran board for Visionscape. Raven Resources Group is one of the largest petroleum product producers in Africa today. Niyi Makanjuola’s age hasn’t stopped him from accumulating a massive fortune. Kevin Okyere is only 38-years-old, and he has made himself into a tycoon. Okyere developed the Springfield Group, which works in Ghanaian offshore drilling. Springfield Group is an energy conglomerate. The company is worth more than one billion dollars. Springfield employees over 100 people throughout Ghana and Nigeria. The energy conglomerate continues to bring in high revenues, year after year. Byaruhanga Kimberly Junior founded JK Diamond Impex Pty. This company, as the name might suggest, has interests in a ton of different sectors involving gold, ferrous metals, and base metals. Kimberly Junior also has interests in oil and platinum African mining projects. 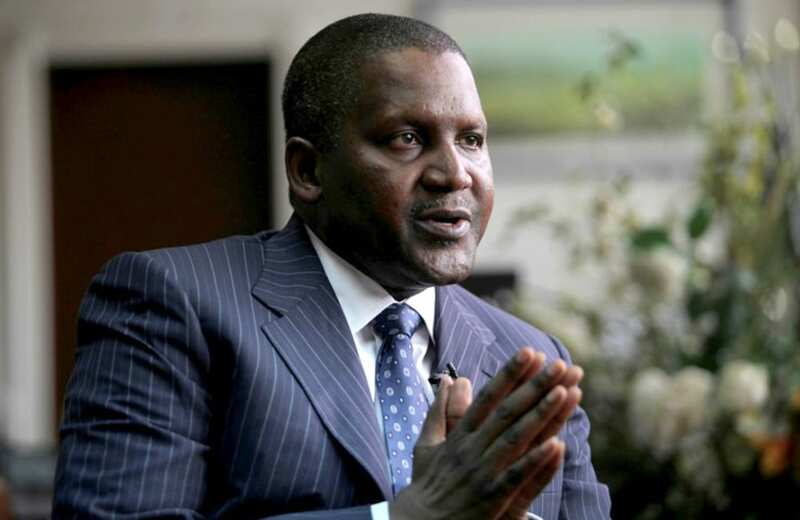 The South African tycoon also chairs Continental Projects Africa Pty. This company, along with AfriOIL, has interests in oil. Kimberly Jr. has managed to chair and head these companies simultaneously, boosting each’s income. He also wants to build up his fellow young entrepreneurs. He is the chair of the African Young Innovators Association. These publicly-traded companies continue to grow, as does Kimberly Jr.’s fortune. Koos Bekker is a name with which many people knowledgeable about business are familiar. Bekker chairs the media group Naspers. Naspers is a multimedia giant that operates in more than one-hundred-thirty countries. Naspers is one of the largest companies in the world, with only China and the U.S. leading the market capitalization. Bekker has his degree in law, as well as in literature, from a South African college. Bekker’s net worth has grown alongside Naspers’. Naspers’ net worth started at $1.2 billion and has soared to $45 billion. The reason it’s become so successful is because Bekkers expanded its investments into pay TV, mobile phones, and other internet services. Born in Zimbabwe, Strive Masiyiwa has a degree from Wales. He specialized in electrical engineering. He now is the founder and chairperson of Econet Wireless, a lucrative communications group. Not only is he the head of Econet, he also sits on various boards concerning communication and philanthropy. His board positions include The Rockefeller Foundation, the Africa Progress Panel, The African Union’s EBOLA Fund, and more. Masiyiwa has a reputation for philanthropy and generousness. He also sits on two Advisory Panels at the United Nations. He also represents Africa on the Committee on Conscience for the Holocaust Memorial Museum in America. Othman Benjelloun is a Moroccan businessman who is a member of the World Union of Arab Bankers. Benjelloun is the thirteenth-richest man in Africa and the third-richest man in Morocco and his fortune comes from banking. Benjelloun’s market capitalization profit at his bank is around $4 billion, and his personal fortune is around half of that. Benjelloun heads the BMCE Bank. The BMCE Bank operates in twelve countries. It owes its expansion to its purchase of the Bank of Africa, which is based in Mali. Benjelloun is Swiss-educated, with a degree in electrical engineering. He has two kids with the daughter of a Moroccan general, General Mohamed Meziane. He has been married to his wife, Leila, for fifty-eight years. Michiel le Roux is another name on this list with which business-savvy people in Africa are likely familiar. Le Roux founded Capitec Bank in 2001 and he owns eleven percent of Capitec. The South African is still a member of the Capitec Board, and he chaired the board from 2007 to 2016. Before running Capitec, le Roux was in charge of Boland Bank. Boland was just a small enterprise in Cape Town. Le Roux definitely counts as self-made, as he ascended from that small bank to run a huge monolith like Capitec. His bank seeks to build up the middle class in Africa. Jim Ovia is the founder of Zenith Bank, which he started in 1990. Ovia hails from Nigeria, though he was educated in the States. He received an MBA from the University of Louisiana. Ovia holds a B.S. degree from Southern University, a school also located in Louisiana. Mr Ovia also attended Harvard Business School, in Massachusetts. Zenith Bank is not the only business he founded. He also started Visafone Communications. He chairs the Nigerian Software Development Initiative, as well as NITAC, the National Information Technology Advisory Council. Ovia is also a major philanthropist, donating millions to youth organizations. Abdulsamad Rabiu is a Nigerian business magnate with a net worth surpassing one billion U.S. dollars. He founded BUA Group, which is a conglomerate based in Nigeria. BUA Group has investments in many sectors, including infrastructure, manufacturing, and agriculture. The revenue from BUA Group is around $2.5 billion per year. Rabiu was born in Kano, Nigeria, and he received an education from Capital University in the States. He founded BUA solely for trading in commodities, but then BUA acquired an oil company. BUA is also noteworthy for breaking up a sugar monopoly in Nigeria. Cement has been BUA’s latest acquisition. Mohammed Ibrahim’s nickname is “Mo,” and he was born in Sudan. The Sudanese billionaire founded Celtel, a major cellphone company in Africa. Celtel has subscribers in fourteen countries in Africa. The last count for subscribers reached 24 million people. Prior to founding his own company, Mo worked for smaller businesses to learn the ropes. Mo is very interested in charity and ethical government. He founded the Mo Ibrahim Foundation to encourage transparent government. He ranks countries’ governments by the Mo Ibrahim Index, which measures their transparency and ethics. Mo pledged more than half of his fortune to charity after he joined The Giving Pledge with other wealthy Africans. Nathan Kirsch’s massive net worth of more than four billion U.S. dollars came from property development. He founded the eponymous Kirsch Holdings Group. Kirsch Holdings Group partnered with Sanlam, a financial services group in South Africa, for property development purposes. Unfortunately, the partnership went south. So, the South African billionaire then set his sights on Swaziland. He owns Swaza Plaza Properties, which is a partnership with the Swaziland government for land development. Kirsch also owns Ki Corporation, in Liberia, and Mira Mag, a security company. From those holdings come many subsidiaries in a variety of different industries. Allan Gray was born in South Africa in the city of East London. He got a degree in accounting from Rhodes University before getting an MBA from Harvard University. Gray first worked in asset management when he worked for Fidelity in Boston, Massachusetts, a U.S. city. Then, he founded Orbis Investment Ltd. in London. Orbis mainly focused on international investment markets. It made revenues in the billions. With that success, Gray went on to found Allan Gray Investment Management. This firm is a private investment firm handling more than $35 billion in capital from their many clients. Gray also is philanthropic, founding the Allan Gray Foundation to help South African students. Dr. Mamphela Ramphele is an extremely accomplished woman. She is a politician who founded Agang South Africa. Dr. Ramphele was also a majorly influential activist against apartheid. She is a medical doctor as well, and she is also involved as the vice chancellor of the University of Cape Town in South Africa. Dr. Ramphele was born in the Bochum District of Transvaal, South Africa. Her mother and father were both primary school teachers. It was in 1955, after witnessing a racist altercation between an Afrikaner minister and Kranspoort villagers, that Dr. Ramphele decided to go into politics. Bridgette Radebe was born in February 1960. Radebe was a miner during the 1980s. She started out as a manager of individual mining operations. Radebe worked her way up the ladder to where she was managing larger projects in South Africa. Radebe used this experience to start Mmakau Mining Ltd. Mmakau Mining Ltd. is an exploration firm that produces precious metals such as gold, chrome, and platinum. Radebe is an activist against the capitalist mining model, which she says exploits Africa. Her company is an ethical mining company that contributes to African cities and towns. Arthur Eze is one of the richest men in Africa. He is a philanthropist and business-owner. Eze received his secondary school education in Nkwere, Nigeria. From there, he progressed to higher learning. Eze obtained a degree in mechanical and chemical engineering from California State University in Long Beach, California. After attending CSU Long Beach from 1974 to 1978, Eze decided to go into business. He founded Atlas Oranto Petroleum. The company has assets in many different African countries. In one year, Eze managed to sell $200 million in oil blocks in just one country (Libya). Dr. Judy Dlamini is a doctor who also has, in addition to her PhD, an MBA in business leadership. Dr. Dlamini was born in 1959. Her parents emphasized to her that education was the best tool for escaping poverty, and Dr. Dlamini listened to that advice. In addition to her medical degree, she founded the business Mbekani Investment Holdings, Ltd. Mbekani Group has tons of investments in many different sectors. The sectors include surgical instruments, pharmaceuticals, property facilities and management, fashion retail, and tourism. Dr. Dlamini learned the value of investing from her father, who invested in small pieces of property. Cletus Ibeto was born in the city of Nnewi, an industrial city in Nigeria. Ibeto began his career as an imports dealer. He became a spare parts dealer after his experience as an apprentice in the auto parts industry. Ibeto founded The Ibeto Group, which became a huge spare auto parts manufacturer. Its first plant was in Nnewi. From there, Ibeto established a petrochemicals sector of his company, as well as a cement sector wing. The Ibeto Cement Co. Ltd. just underwent a “reverse merger” with the U.S. company Century Petroleum Corp. Ibeto now owns 70% of Century Corp.